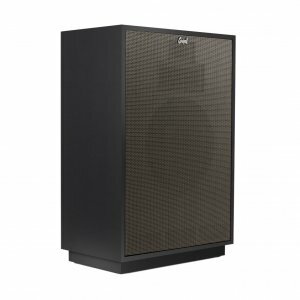 Klipsch CORNWALL III SPECIAL EDITION(black)(each) Klipsch CORNWALL III SPECIAL EDITION(black)(each) - - It's Free! : New Audio & Video, New Electronics at Lowest Prices! Klipsch is happy to announce a special edition production run of the Cornwall III in East Indian Rosewood and Matte Black finishes. East Indian Rosewood hardwood is genuine Rosewood and is regarded as one of the world’s most beautiful hardwoods. The wood species is native to the southern Indian peninsula. Rosewood is named for the fragrance of roses the wood produces when first cut. The Matte Black finish will fit almost any decór and its Silver Luster grille cloth will create a beautiful contrast while giving this model a very elegant style. This production run is limited to 70 pairs of each finish. Each loudspeaker will feature a small edition plaque that is hand-signed by the craftsman. First introduced in 1959, the Cornwall III is a three-way design using horn-loaded compression drivers for the midrange and tweeter and a direct-radiating 15-inch woofer for the low frequencies. The Cornwall III is an excellent combination of wide frequency response, low distortion, and high power output. Within the Heritage series, only the legendary Klipschorn® offers more extended bass response. Each pair of Cornwalls features “script” style nameplates mounted to silver luster grille cloth. A matte black riser base compliments both finishes.